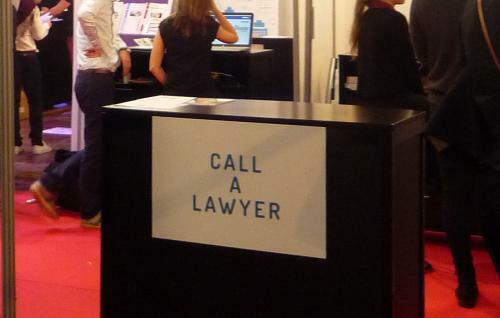 Call an Open Source lawyer! I’m not just thinking of the “easy” (to measure) effects, like less decently paid jobs in the legal sector, and less expenses in any other sector. 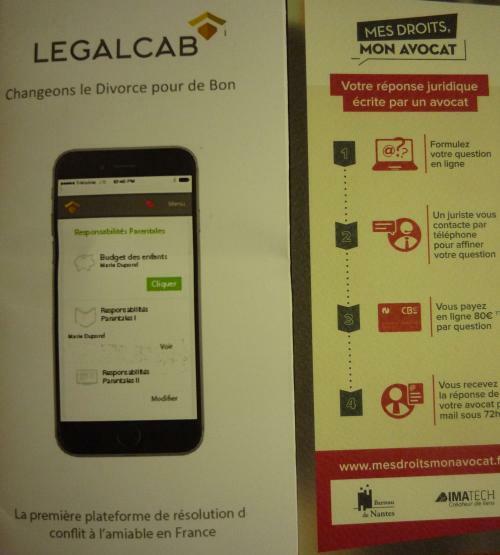 I’m thinking about how _laws themselves _will have to change, to handle a world in which people expect to manage their rights and legal troubles with an app. Or about how relationships, commitment and parenting change, when people find natural to handle divorces (including, see the picture, the ones where children are involved) as quickly and easily as finding a new parking spot with another app (*). I’m all for simplifying legal systems, of course, and the more open the technologies that support them will be, the happier I will be. Still.. “it’s complicated” (pun intended). I’d really like to read (or do) some serious research on this. If you have any pointers, or proposals, please let me know. 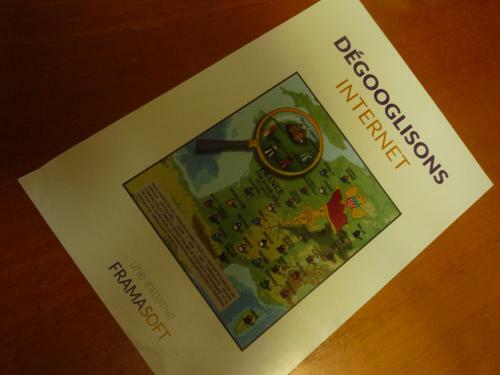 Due to time constraints, I could not spent on Framasoft’s talks and booth the time they’d deserve, for their work to “degooglize” the Internet. From the little I could gather by just passing by, they _could _be one way to make personal clouds, as I suggested a while ago, come true. I do wish them success. I wonder how many participants to POSS have realized, if not explicitly discussed, how much, and in how many different ways, the several topics and tracks of the conference are interrelated and interdependent. Open Hardware for beehives or autonomous tractors, for example, is not isolated. To really thrive and make a difference, _social/economic _projects like those need transparent, locally focused decision making. 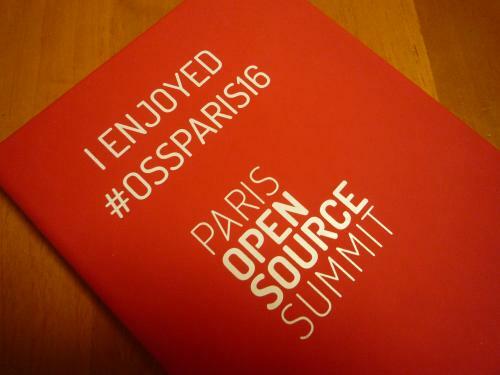 They need, that is, Open Government, and Open Data. The opposite is equally true. Any form of local Open Government finds in, again, social/economic LOCAL projects like those, many more justifications to exist. What do you think? 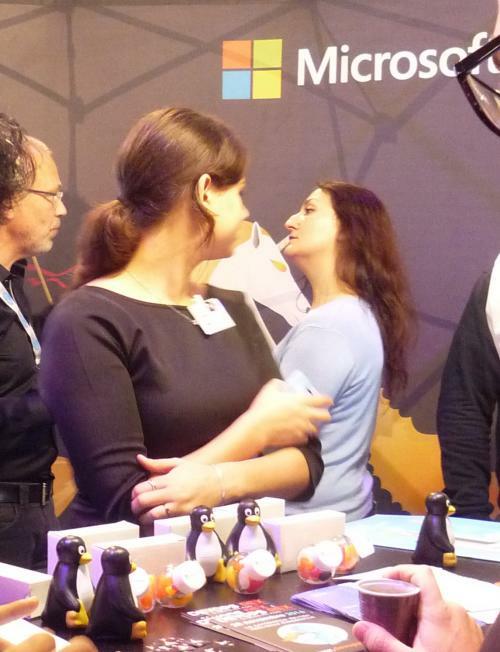 Linux Penguins at a Microsoft booth? Oh my! By now you already now the “big” news that explain this scene I walked into without preparation: Tux penguins inside a Microsoft booth at an Open Source conference? I really wanted a time machine in that moment, to go back to 1991 and shows Linus Torvalds that picture!